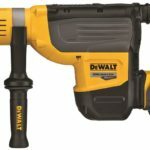 Dewalt also introduced a new 20V MAX 1-1/8-Inch SDS Plus D-Handle Rotary Hammer DCH263 at this years World of Concrete event. 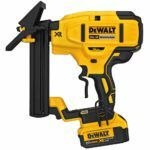 What’s interesting about this new model is that they made it a slim D-handle model with a 1-1/8″ capacity so you have two options to choose from if you want a Dewalt 20V 1-1/8″ rotary hammer. It achieves 3.0 Joules, 1,165 RPM and has what Dewalt calls SHOCKS Active Vibration Control technology for less vibration. It’s length is 15.89-in. long and weighs 5.95 lbs baretool only. The slim D-handle design means a dust extractor can be mounted underneath the drivetrain without the extractor extending too far past the underside of the handle and battery area. 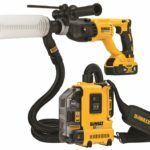 The DWH205DH dust extractor appears to run off the rotary hammer itself, it features three nozzle heads for maximum dust collection during the application, is OSHA Table 1 Compliant and accepts up to 10-in. long drill bits. 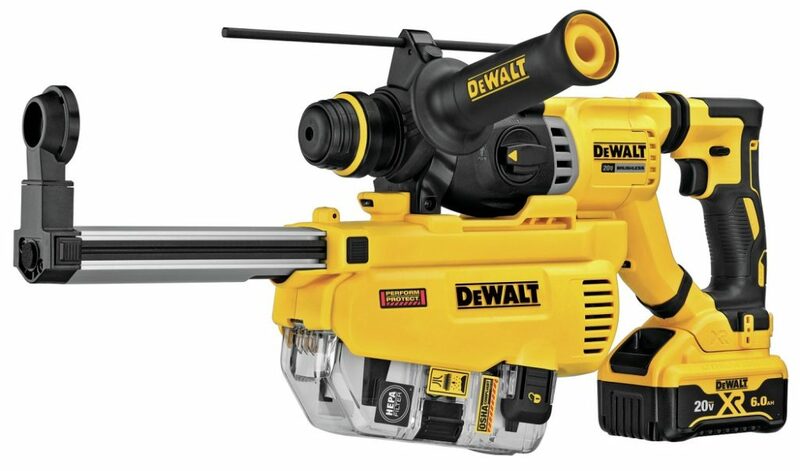 The Dewalt 20V MAX 1-1/8-Inch SDS Plus D-Handle Rotary Hammer will be available in late spring 2019 for $499 MSRP (DCH263R2) and will include two 6.0Ah batteries. 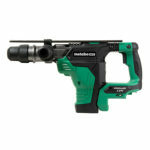 It will also be available for $649 MSRP (DCH263R2DH) kitted with two 6.0Ah batteries and a Dust Collector (DWH205DH). These tools will each come with a three-year limited warranty, two-year free service contract and 90-day money-back guarantee.